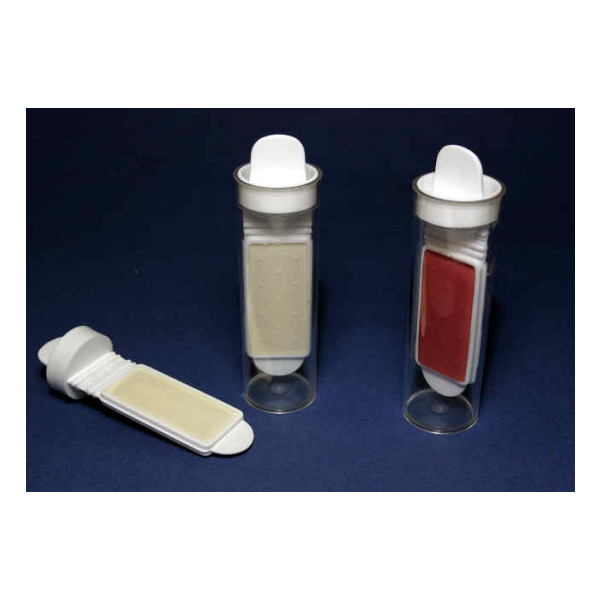 1 x box of 10 dipslides that are: Nutrient Agar with TTC* and Malt Extract Agar; Malt Extract Agar is a growth medium for yeasts and moulds, which reduces bacterial growth. High levels of bacteria can overwhelm the suppression. This slide offers a total count on one side and Yeasts and Moulds on the other. The range of dipslides offered by HFE are manufactured to an extremely high specification meaning that the product you receive is of the highest possible quality..
All Dipslides are manufactured in an ISO9001 registered environment under UKAS Quality Management to ensure they are of perfect condition each and every time and that you get dependable and repeatable results. Certficates of conformity are available by request.